‘Metics’ in ancient Athens could also refer to immigrants invited by citizens and admitted on an otherwise non-discretionary basis, subject to a special poll tax. Did ancient Greece have open borders? Yes, I think, in the limited sense that there was no passport regime. But Wikipedia’s article on “Metic,” the ancient Greek word for “resident alien,” suggests that the link between democracy and immigration restrictions goes back to the very beginning. Still, Athens seems to have had a regime closer to open borders in most respects– not all: no birthright citizenship– than the contemporary United States, and it set several precedents, such as the metic poll tax, which might be useful. In view of the prestige of democratic Athens as the world’s first democracy, I would suggest that the term “metic” could be introduced for legal purposes to refer to immigrants invited by citizens and admitted on an otherwise non-discretionary basis, subject to a special poll tax. The bulk of this article pertains to Athens in the 5th and 4th centuries BC during the Athenian democracy, which encouraged foreigners to settle in Athens, on account of the part which they took in trade, industry, education, and of which period we have primary sources about the specific legal status of a Metic, as reported by the Attic orators. 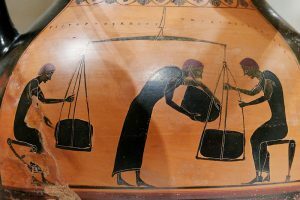 However, the history of foreign migration to Athens begins earlier with Solon, who is said to have offered Athenian citizenship to foreigners who would relocate to his city to practice a craft; indeed, in the period of Solon, Attic pottery flourished. In other Greek cities (poleis), foreign residents were few, with the exception of cosmopolitan Corinth, of which however we do not know their legal status. In Sparta and Crete, as a general rule with few exceptions, foreigners were not allowed to stay (Xenelasia). There are also reported immigrants to the court of tyrants and kings in Thessaly, Syracuse and Macedon, whose status is decided by the ruler. So for a number of reasons the legal term metic should be associated with Classical Athens. At Athens, the largest city in the Greek world at the time, they amounted to roughly half the free population. The status applied to two main groups of people—immigrants and former slaves. As slaves were almost always of foreign origin they can be thought of as involuntary immigrants, drawn almost exclusively from non-Greek speaking areas, while free metics were usually of Greek origin. Mostly they came from mainland Greece rather than the remote parts of the Greek world. Athens had four main social classes. Of these social classes were the slaves, the metics, the women, and the citizens. Note well: half the free population of Athens were metics. So in that sense 5th-century Athens was far more open than America today or at any time in its history. Of course, Athens was a city-state and the metics were mainly other Greeks, so the comparison isn’t entirely apt. On the other hand, Athens was an independent state, so in that sense it is comparable to half the free population resident in America being foreigners. Metics held lower social status but not on the basis of socio-economic class. Some were poor artisans and ex-slaves, while others were some of the wealthiest inhabitants of the city. As citizenship was a matter of inheritance and not place of birth, a metic could be either an immigrant or the descendant of one. Regardless of how many generations of the family had lived in the city, metics did not become citizens unless the city chose to bestow citizenship on them as a gift. This was rarely done. From a cultural viewpoint such a resident could be completely “local” and indistinguishable from citizens. They had no role in the political community but might be completely integrated into the social and economic life of the city. In the urbane scene that opens Plato‘s Republic—the dialogue takes place in a metic household—the status of the speakers as citizen or metic is never mentioned. This is similar to America today, in that immigrants can be “local” and indistinguishable from citizens, can’t participate in the political community– at least, they can’t vote– but are integrated into the country’s social and economic life. Athens did not have birthright citizenship. In this respect, America is more “liberal.” Birthright citizenship and open borders are, in principle, separate issues: you could have either without the other. In a way, the “liberal” positions on the two issues are even in tension with each other. If you feel that you have to give everyone born on one’s native soil citizenship, there are more difficulties with allowing anyone who likes to come. Not that the two are inconsistent: 19th-century America had both. But I wonder if America’s commitment to birthright citizenship helps to explain its eventual closure of free immigration. Metics typically shared the burdens of citizenship without any of its privileges. 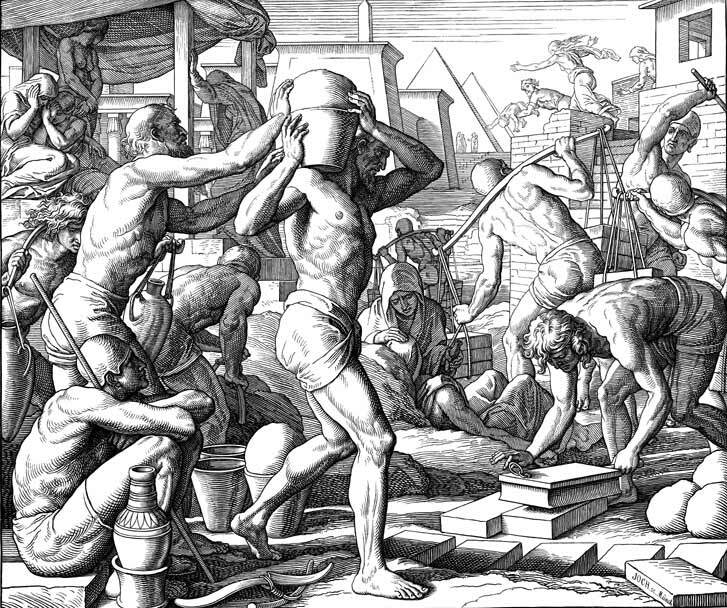 Like citizens, they had to perform military service and, if wealthy enough, were subject to the special tax contributions (eisphora) and tax services (“liturgies”, for example, paying for a warship or funding a tragic chorus) contributed by wealthy Athenians. 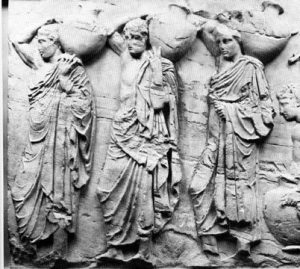 Citizenship at Athens brought eligibility for numerous state payments such as jury and assembly pay, which could be significant to working people. During emergencies the city could distribute rations to citizens. None of these rights were available to metics. They were not permitted to own real estate in Attica, whether farm or house, unless granted a special exemption. Neither could they contract with the state to work the silver mines, since the wealth beneath the earth was felt to belong to the political community. 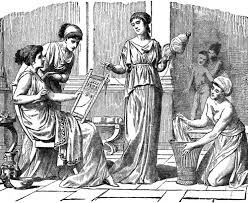 Further, they had to pay a metic poll tax, the metoikon, of twelve drachmas a year for men and six for women, as well a special tax (xenikon telos) if they wanted to set up a stall in the market place (agora). The metic poll tax is an intriguing precedent for the immigration tariffs that I, Gary Becker, and others have argued for, as a fairer and more efficient alternative to discretionary migration restrictions. Although metics were barred from the assembly and from serving as jurors, they did have the same access to the courts as citizens. They could both prosecute others and be prosecuted themselves. 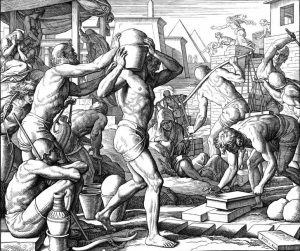 A great many migrants came to Athens to do business and were in fact essential to the Athenian economy. It would have been a severe disincentive if they had been unable to pursue commercial disputes at law. At the same time they did not have exactly the same rights here as citizens. Unlike citizens, metics could be made to undergo judicial torture and the penalties for killing them were not as severe as for killing a citizen. Metics were also subject to enslavement for a variety of offences. 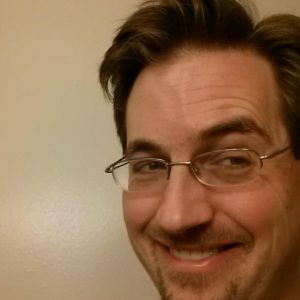 These might either be failures to abide by their status obligations, such as not paying the metoikon tax or not nominating a citizen sponsor, or they might be “contaminations” of the citizen body, marrying a citizen, or claiming to be citizens themselves. How long a foreigner could remain in Athens without counting as a metic is not known. In some other Greek cities the period was a month, and it may well have been the same at Athens. Now, what I would like to know is– could one come to Athens without any particular permission from the state? I would presume so, both because no restrictions are mentioned, and because it seems unlikely that they would have been feasible. Busy ports, people moving in an out, Attica’s land borders — to police this would have been a major operation. Was there anything like a passport in ancient Athens? If not, that would confirm my view that there is something unique about the Passport Age in which we live, in which states attempt to completely control who is and is not within their borders. That said, the Athenians do seem to have a notion of collective ownership of the whole territory of Attica. All metics there were required to register in the deme (local community) where they lived. They had to nominate a citizen as their sponsor or guardian (prostates, literally “one who stands on behalf of”). The Athenians took this last requirement very seriously. A metic without a sponsor was vulnerable to a special prosecution. If convicted, his property would be confiscated and he himself sold as a slave. For a freed slave the sponsor was automatically his former owner. This arrangement exacted some extra duties on the part of the metic, yet the child of an ex-slave metic apparently had the same status as a freeborn metic. Citizenship was very rarely granted to metics. More common was the special status of “equal rights” (isoteleia) under which they were freed from the usual liabilities. In the religious sphere all metics were able to participate in the festivals central to the life of the city, except for some roles that were limited to citizens. One would assume that the sponsor had to agree to be a sponsor… yet the article doesn’t say so, but rather, says the metic “nominates” the sponsor: the initiative seems to come from the metic. One wonders what norms were associated with this. Would it have been legal and/or socially acceptable to disavow one’s role as sponsor for any arbitrary reason or none at all? To sell one’s services as a citizen sponsor? An even more interesting point is this: if a metic does have a willing sponsor, could the state override this citizen’s will and expel the metic? If not– and the article doesn’t say so– then 5th-century Athens’ system was rather as if instead of visas being issued by USCIS, they could be issued by any American citizen. The isoteleiais an interesting status as well– perhaps rather close to the situation DREAMers might find themselves in under Rubio’s plan. Metics whose family had lived in Athens for generations may have been tempted to “pass” as citizens. On a number of occasions there were purges of the citizen lists, effectively changing people who had been living as citizens into metics. In typical Athenian fashion, a person so demoted could mount a challenge in court. If however the court decided the ejected citizen was in fact a metic, he would be sent down one further rung and sold into slavery. I am reminded of the connection between writing and power, and the tendency of states to try to make populations “legible,” the pattern elucidated in James Scott’s Seeing Like a State. The Greeks were not the first to have an alphabet, but they were early adopters and improved it, and I think they were the most literate society in history up to that time. And so they require everyone to register. Information technology and freedom are very old frenemies. The tension here between an easy equality of social interaction as far as the culture is concerned, and a law tending to divide and stratify, is quite familiar to an American today. In studying the status of the metics it is easy to gain the impression they were an oppressed minority. But by and large those who were Greek and freeborn had at least chosen to come to Athens, attracted by the prosperity of the large, dynamic, cosmopolitan city and the opportunities not available to them in their place of origin. Metics remained citizens of their cities of birth, which, like Athens, had the exclusionary ancestral view of citizenship common to ancient Greek cities. The large non-citizen community of Athens allowed ex-slave metics to become assimilated in a way not possible in more conservative and homogenised cities elsewhere. Their participation in military service, taxation (for the rich at Athens a matter of public display and pride) and cult must have given them a sense of involvement in the city, and of their value to it. Though notably, while Athenians tended to refer to metics by their name and deme of residence (the same democratic scheme used for citizens), on their tombstones freeborn metics who died in Athens preferred to name the cities from which they had come and of which they were citizens still. Note also that the “ancestral view of citizenship common to ancient Greek cities” gives Athens an excuse for failing to grant birthright citizenship not necessarily available today (see this discussion). There’s a risk of creating stateless persons, in some ways a worse fate now– when the entire territory of the earth is partitioned into sovereign states– than it was in the 5th century B.C. The term Metic began to lose its distinctive legal status in 4th century BC, when metics were allowed to act in the court without a Prostates (patron) and came to an end in Hellenistic Athens, when the purchase of citizenship became very frequent. The census of Demetrius Phalereus in ca. 317 BC gave 21000 citizens, 10000 metics and 400000 slaves (Athenaeus, vi. p. 272 B). In the Greco-Roman world, free people (non-citizens) living on the territory of a polis were called “paroikoi” (see etymology of parish), in Asia Minor “katoikoi”. While 5th-century Athens is the Golden Age, 4th-century Athens is arguably a more admirable civic model, for Athens retained its democracy then but had lost its empire, and was still culturally creative: this is when Plato was writing, after all. With metics beginning to “lose their distinctive legal status,” it sounds as if Athens was coming closer to open borders in this era. Originally published by OpenBorders: The Case under the terms of a Creative Commons Attribution 3.0 United States license. This entry was posted in Ancient, Greece, Greek, History. Bookmark the permalink.